Elimination of infection in next 10 years possible through concerted action by policymakers and community leaders. 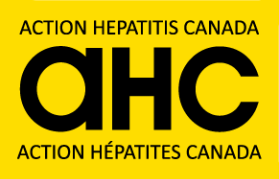 TORONTO, Feb. 6, 2018 /CNW/ – The Canadian Treatment Action Council (CTAC) has published a white paper entitled, “The time has come to eliminate hepatitis C in Canada,” which summarizes the increasing gaps in Canada’s response to the hepatitis C epidemic and identifies seven calls-to-action. CTAC is once again demonstrating its commitment to securing and ensuring access to testing, treatment, care and support for Canadians living with HIV and hepatitis C virus (HCV). An estimated 220,000 – 245,000 Canadians are infected with HCV. Unfortunately, around 44% of those individuals are unaware of their status, and are often only diagnosed incidentally to something else. There is a large population of individuals currently aging with HCV, whether diagnosed or not, who are now experiencing complications of HCV, some of which are quite severe, such as cirrhosis, liver failure and death. The cost to the healthcare system is greater than treating HCV. Indigenous communities, people who inject drugs, ethno-cultural communities and baby boomers are at an increased risk of being affected by HCV. In 2016, Canada committed at the WHO to work to eliminate HCV as a public health threat by 2030. Canada’s WHO commitment is to have treated 80% of people with the disease. In 2018, hepatitis C prevention and care strategies remain fragmented across the country. The goal to cure hepatitis C is achievable, and Canada has had access to these curative medications (highly effective, highly tolerable direct-acting antivirals) since 2015. The pan-Canadian Pharmaceutical Alliance (pCPA) announced in early 2017 a new framework that has brought down the price of treatment. Despite significant treatment cost reductions; too few people are being treated, and in Canada, as elsewhere, hepatitis C rates are on the rise because we have not implemented comprehensive public health strategies to stem the tide. CTAC is asking individual and organizational influencers to endorse the calls to action. This can be done electronically by going to www.ctac.ca/EliminateHepC. In addition, for those wishing to take further action, a letter-generated electronic form will be available for submission to individual provincial and territorial health ministers so that a unified voice can be heard and action taken to get Canada back on track toward its stated commitment to eliminate HCV as a public health threat by 2030. CTAC is Canada’s non-governmental organization led by and for people living with HIV and HIV/HCV co-infection, focusing on access to treatment. Since 1996, we have been working to secure and ensure equitable, affordable and timely access to testing, treatment, care and support for people in Canada living with HIV and HIV/HCV co-infection and other co-morbidities. We work with community, public, private and not-for-profit leaders to inform research and public policy, and promote public awareness and discussion.